Jan Latta is author and wildlife photographer of the ‘True to Life’ children’s book series. 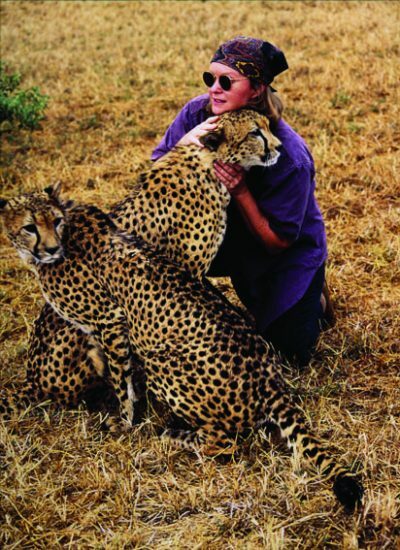 To create her books, Latta follows wild animals in Africa, India, Uganda, China, Borneo and Costa Rica, taking photographs and writing about them in their natural habitats. She has been a successful self-publisher in Australia and Asia for the last 25 years, and often runs presentations at schools and festivals. She spoke with Australian Self-Publisher about her publishing journey. Describe your latest book in under 50 words. My latest book, Sleepy the Sloth, was created in Costa Rica after five years of searching for a location to photograph sloths in their natural rainforest. It was a wonderful book to create because sloths are so gentle and smile all the time. When I came face-to-face with a mountain gorilla in Rwanda, Africa, the experience changed my life and career. When my guide said there were fewer than 600 mountain gorillas left in the wild, I wanted to do something to help, so I decided to create books for children on endangered animals. But first I had to become a wildlife photographer so I could tell the animals’ stories in pictures as well as words. Each book was expensive, with overseas travel and guides, so I decided I had to be the photographer, author and designer to make the books affordable for children. What year did you start and where are you based? My gorilla encounter was in 1995 and I was living in Hong Kong at the time. After the Chinese handover I returned to Australia and published 15 ‘True to Life’ books. What makes your books unique? Each book is a true-to-life story with stunning photographs of animals in their natural habitats. The animals talk to children about their life in the wild and how they survive. The books are full of facts, maps, fun activities and links to interesting websites. Educational videos have been created so children can see the animals in action in the wild. Selling over a thousand ‘True to Life’ books at a Hong Kong school after two one-hour presentations. The rewards of being a self-publisher—100% profit on book sales. Conquering fear when I’m too close to a wild animal. But I must add, it’s easier to stand still if a rhino is charging than to get your first book into a bookshop. That is a challenge. What would be top tip for those starting out in self-publishing? First, do your budget. Cost all the book production, the printing and potential book sales with a 40% to 65% deduction from distributors and bookshops. Get printing quotes in both Australia and Asia. Start attending seminars, festivals, library talks to gather information for future presentations and promotions. What will you publish next? Safari Adventures, a 104-page book with 300 photographs and everything you need to know about safaris, the animals, guides, photography and how to keep safe.